Visiting London again this week, I was able to capture another clutch of locations that used to house Woolies stores more than a quarter of a century ago. Last time I was in London, at the end of September, I photographed – and blogged about – the former Woolworths in Kensington High Street (#162), which was sold off in 1980 and is now occupied by Uniqlo. However, in the drizzle and fading light I hadn’t managed to spot the earlier Woolworths property, further along the street, from which the retailer had relocated in the 1960s. This time, happily, I managed to locate it. 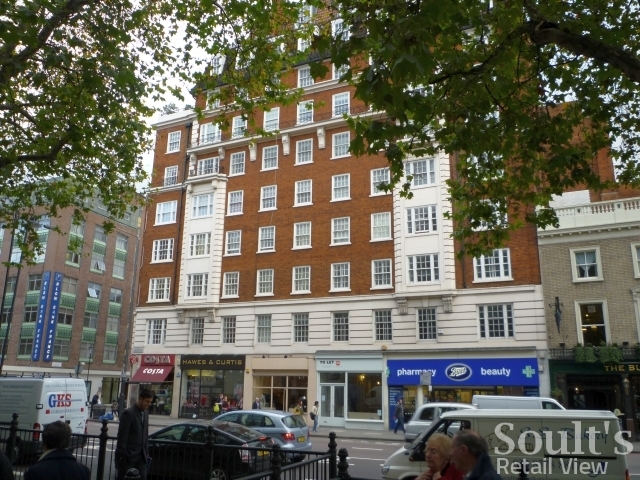 From the 1920s until its disposal, the address also housed Woolworths’ Kensington regional office, overseeing the chain’s stores in the South West, parts of East Anglia, and the suburbs of north west London. Given that Woolworths moved out half a century ago, I should barely have been surprised that the building today looks somewhat different from that earlier photograph. 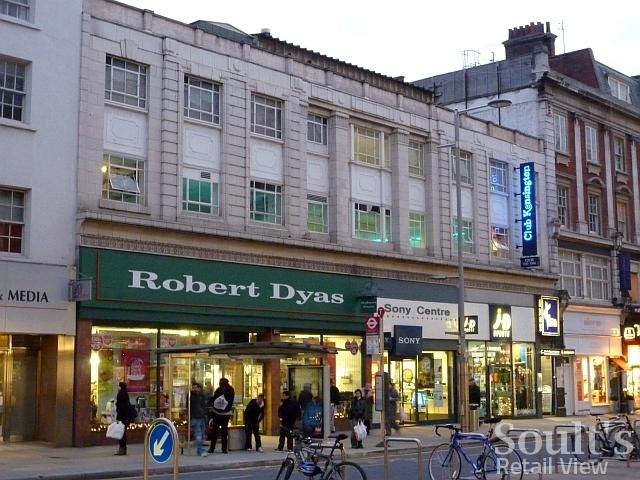 Nevertheless, it is sad to see the property carved up into separate units (for Robert Dyas, Sony Centre and JD), with a cacaphony of clashing shopfronts and different height fascias that have little in common with each other, let alone with the ornate detail and proportions of the upper floors. 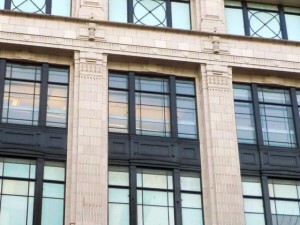 At some point, the top of the building also lost its pediment and cornice, giving it a strangely unfinished look. 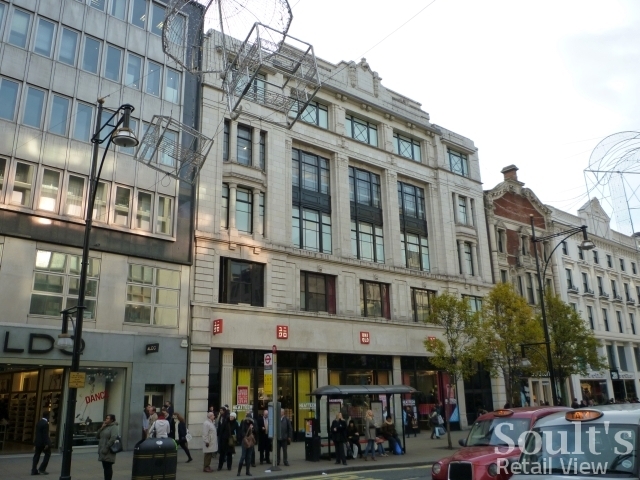 Over in Oxford Street, the former Woolies flagship (#161) – which opened in August 1924, but had apparently “never been profitable” – was sold off at the same time as the relocated Kensington High Street store, with the proceeds used to help pay for F W Woolworth & Co. Ltd’s purchase, in 1980, of the DIY chain B&Q. 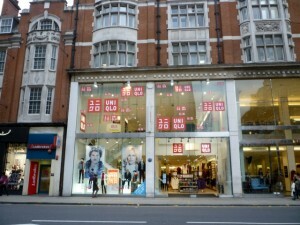 In a prime spot opposite John Lewis and House of Fraser, it too – coincidentally – now houses a branch of Uniqlo. 100thBirthday.co.uk reports that prior to its closure, store 161 “included a big restaurant in the basement, a dedicated food hall with wines and spirits on the first floor and a huge range of toiletries, tourist items and jewellery on the ground salesfloor.” Like the original Kensington store, Oxford Street also housed one of Woolworths’ regional offices – the Metropolitan – on its upper floors. This was not the only store in Oxford Street – another (store #463), opened in 1932 and was sold off at the same time as the aforementioned Kensington High Street and Oxford Street shops. 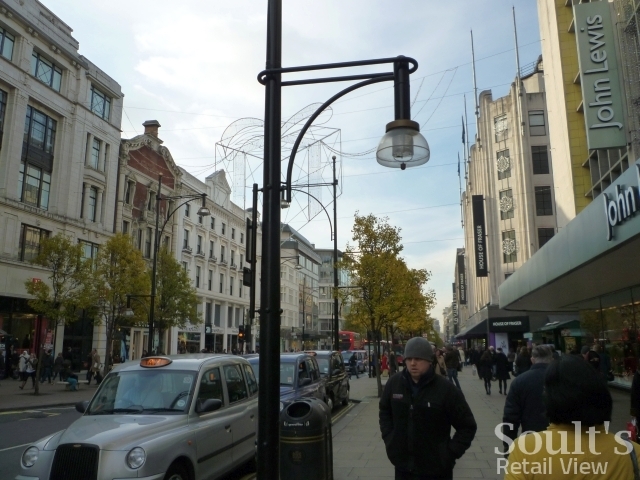 I haven’t been able to source any images of this second store, however, and I’m not not clear whereabouts in Oxford Street it was. Perhaps someone who remembers it from thirty or more years ago can help fill in the gaps? Another old Woolies that was apparently more for show than profitmaking was the one in Brompton Road (#391), not far from Harrods. This store was relatively short-lived compared to most Woolworths stores, opening in March 1930 and closing in 1970 as part of a major trading review. At that time, the sale of this and other prominent stores released funds that could be used to convert other stores in the estate to both decimal currency and self service. Today, the portion of the building that housed Woolworths is occupied by a branch of Boots. Finally to High Holborn (store #173, closed in 1984), and the type of former Woolies site that is hardest to identify: one where the building that housed the store has subsequently been demolished. For once, 100thBirthday.co.uk isn’t so helpful, referring a little vaguely to the former store “facing the old houses in High Holborn” (the Tudor Staple Inn perhaps? 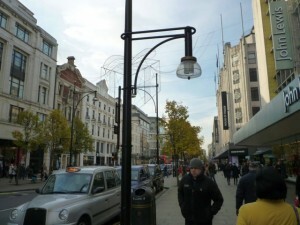 ), and mistakenly illustrating its piece with a picture of Oxford Street 161 instead. However, through a bit of detective work and Google Street Viewing, I think I’ve managed to identify the correct location, adjacent to the Chancery Lane Tube station entrance towards High Holborn’s eastern end. The building looks about the right age (1980s), houses several small shops including a former Clinton Cards (now Holland & Barrett), as mentioned by 100thBirthday.co.uk, and is almost directly opposite the Staple Inn. Again, if anyone can shed any more light on the former High Holborn Woolies – and can confirm whether or not I’ve got the location right – please feel free to share what you know! Previous story What’s become of North Yorkshire’s former Woolies? No problem Graham… Glad you found it! I’ve just found your site and its fascinating. As a former Woolworths employee of many years service I remember so many of these locations. Thank you so much! Hi, store 175 in Tottenham Court Road was at 20/21 Tottenham Court Road and closed in 1970. Hope that helps. Wow – thanks. The internet is a wonderful thing!! I worked in Wood Green from mid 1973 to mid 1974. The Wood Green Shopping City had not yet been built and there was a lot of derelict land that remained after the closure and removal of the railway line that had run from Severn Sisters to Palace Gates. Woolworths was at that time next door to Marks and Spencers on Wood Green High Road. It can be seen in the street view image and comprised what is obviously the initial store (although I doubt whether that frontage was the original from 1913) which is now Dorothy Perkins and half of Sainsburys, but had been extended sideways to include what is the rest of Sainsburys and the UCKG entrance. It was also extended sideways behind the shops up to the Dovecote Avenue junction and there was a separate entrance that can be seen in this view, below futher development, down that remnant of the side turning. (The frontage is on the extreme right of this view). The major side extension (I think the front had already been extended sideways) round the back was constructed during my year working in the area and on the day it opened the entire pavement area in that last view, including all of that side road was packed with customers queueing to get in. Hi Jon – good to hear from you! 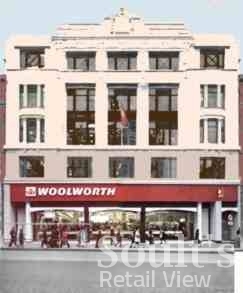 There definitely was an old Woolworths in Wood Green – it was store #26, giving it an opening date of 1913. More recently, there was a new store – #1240 – within The Mall Wood Green, which closed following Woolies’ collapse and is now New Look. However, I know nothing else about store #26 – when it closed, what is became, or what it is now. 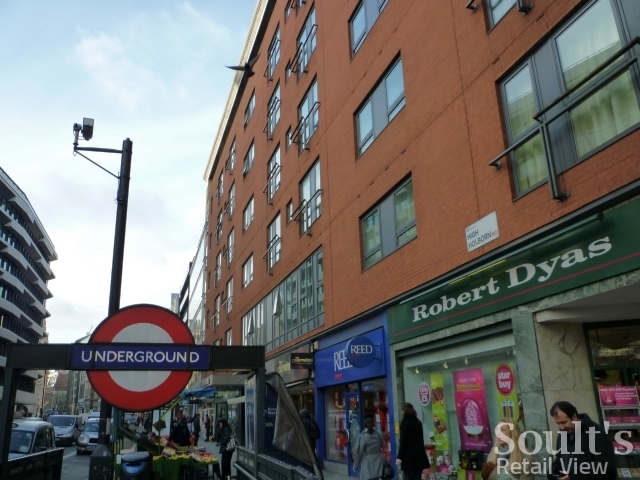 John, who’s a regular contributor to this blog, makes a reference at http://www.soultsretailview.co.uk/2010/05/28/finding-old-woolworths-stores-in-unlikely-places-courtesy-of-the-new-bond/#comment-2497 to remembering the Wood Green branch, so maybe he can shed some more light on the subject! Hi Graham – remember working with you when I was at NERIP and you at Northumbria Uni a few years back. In the 1980s I lived in North London and was told that there had been a Woolies in Wood Green, in what was then the Habitat store. Don’t suppose anyone can confirm that? Whilst poking around, I came across the following page which shows a 1950’s view down Oxford Street. The second Woolworths branch is the shop on the other side of the road that is in between the taxi and the bus. That page is a linked from the following where there are some comments relating to the Woolworths branches in Oxford Street. 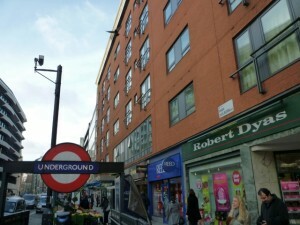 The next thing is whether there was a branch in Tottenham Court Road. Some say there was (where Paper Chase now are) but others say there never was. It is also interesting and ironic to note that the Foot Locker store in Oxford Street (Foot Locker are the US Woolworths Company) is actually located in what was the HMV building. Incidentally (and as I’ve added to the discussion on Flickr), I *do* have a record of there being a Tottenham Court Road branch of Woolworths. It was store #175, and there’s a reference to it the December 1958 issue of The New Bond that I have a copy of. It’s just a line in the ‘Changes and Appointments’ section of the magazine, listing a Mr R W Parratt, who was the manager of 175 TCR, as having moved to become manager of store #602 in Norbury. So, now we know that there definitely was a TCR store, we’ll have to keep an eye open for any old photos that might indicate where it was! 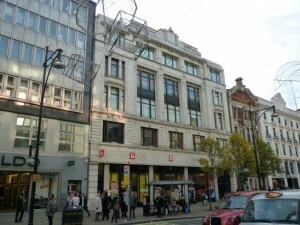 The “other” Oxford Street branch of Woolworths was at 150 Oxford Street (towards the Tottenham Court Road direction), facing Poland Street. Many thanks indeed for those insights, particularly with regard to the Holborn branch! I’d missed the part around the side, so will have to check that out next time. 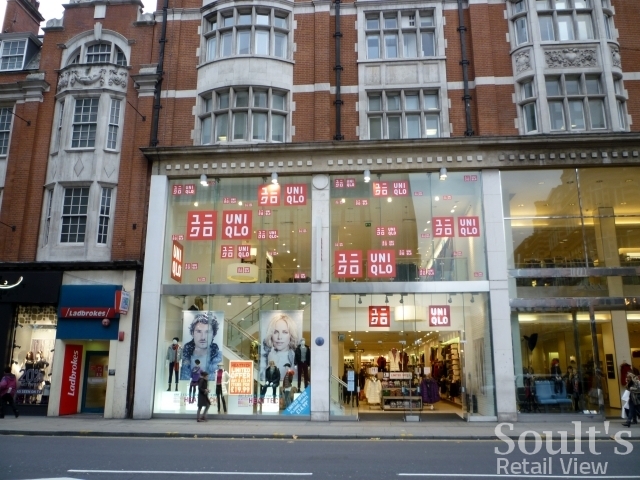 I’ve been to the Victoria branch already – see http://www.soultsretailview.co.uk/2010/10/08/londons-lost-woolies-flagships/. The Strand one is already on my list of ones to get – I’d probably have gone there last week, but I wanted to avoid getting swallowed up by all the students converging on Trafalgar Square! The Oxford Street store that you describe as being opposite House of Fraser is the one that I went to, and photographed above, but it’s really interesting to hear of its succession of occupants over the years. 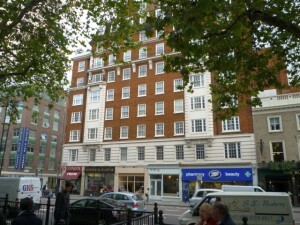 I’ve just added an extra photo, showing its position in relation to the other side of the street. Have you any idea where the second (presumably smaller) Oxford Street Woolies was? If the flagship was in the middle section of the street, I’d imagine that the other was at one of the street’s ends (i.e. towards Marble Arch or Tottenham Court Road). The City of London Guildhall Public Reference Library has an extensive collection of historic London and national telephone, trade and street directories going back to the late 19th century, and that might be a good place to find or verify addresses of old Woolworths branches.